Denver Tac-70051 7 Tablet Android is now root with this guide. The root access give you a lot of advantages like the possibility to install root-only required applications, or if you want to flash custom recovery images(CWM), like I said, to install custom ROMs, or to have access at the internal files system of your Android OS and so on. Your use of anything here is done at your own risk. I nor anyone else is responsible for your tablet. And rooting your tablet will void your warranty. Step-by-step guide to root Denver Tac-70051 running on Android 4.1 Jelly Bean. 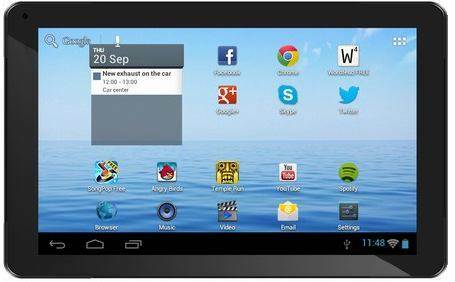 Ensure that drivers for Android device are already installed on the PC. And make sure you have enabled the USB debugging option on your phone. Download the Bin4ry tool and Extract the downloaded zip file to a convenient location on the computer. Double-click on RunMe.bat file available on your Desktop. 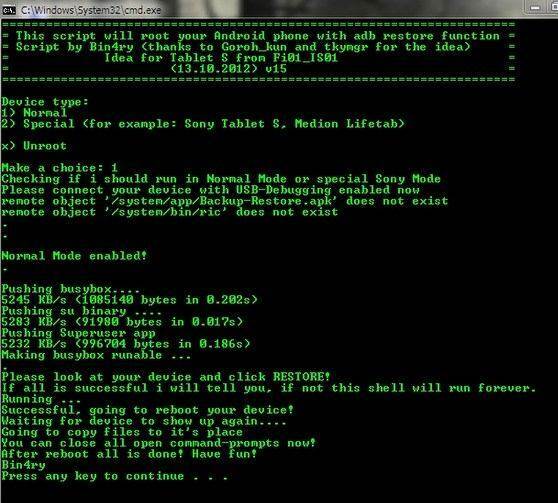 Select Normal mode in the tool and let it root your device. 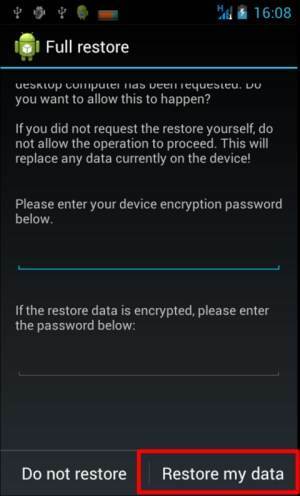 In a few seconds you’ll get the following message on your Device’s Screen , simply click on Restore My Data (no password needed). Your tablet will reboot during the root process. It may take a few minutes, wait to complete the root process. When the rooting process will be successfully completed from the CMD window you’ll receive a message wit “Have Fun!”, that means that your Denver Tac-70051 tablet has been successfully rooted. To confirm, check the menu and look if superuser app has installed. Violaaa. I’m sure, you got root. Hey, nice guide. I'm having major issues getting my PC recognize my tablet however, where do I get the drivers for the Denver?